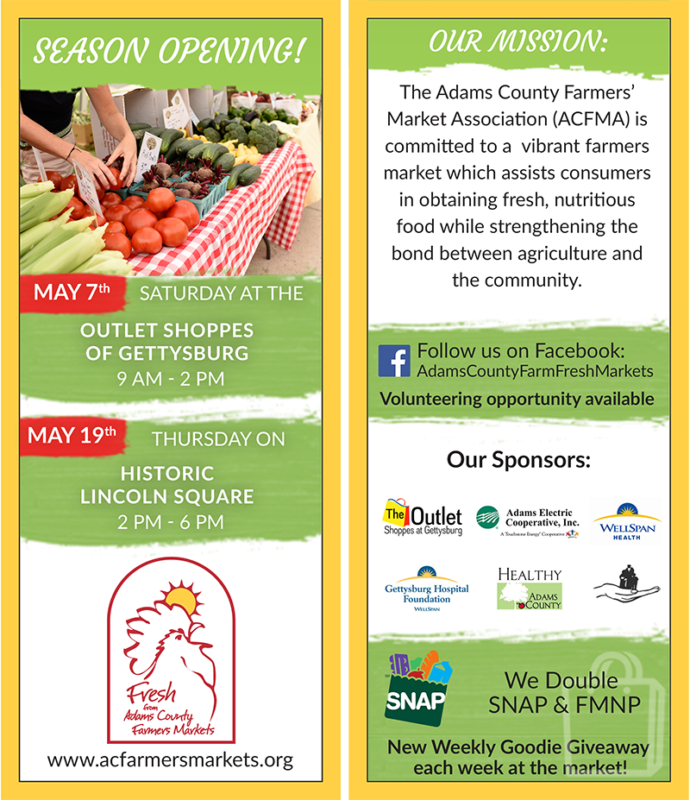 The Adams County Farmer’s Market Association needed a heavy upgrade and rebranding of their website and print materials. They are a staple in the local Gettysburg community here to provide farm fresh foods to the entire community, including low-income families. 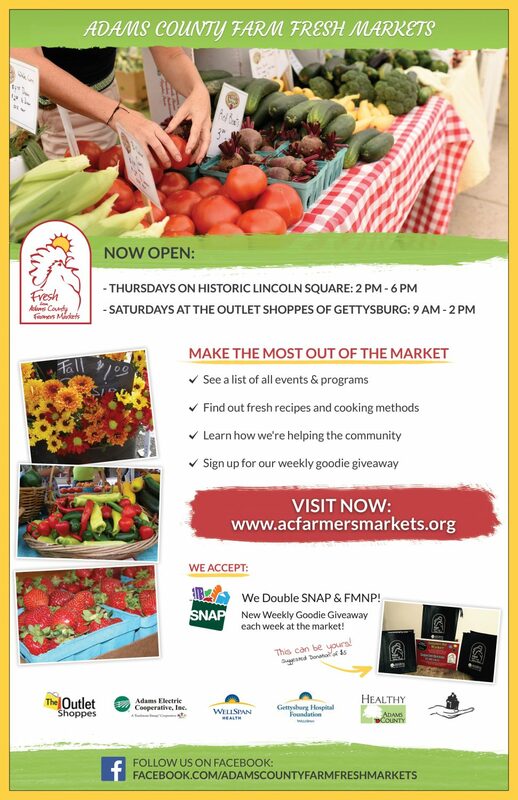 The Adams County Farmer’s Market Association contacted Misfit Interactive to develop a new website that they could easily update and maintain with market news, recipes, and imagery as the market season hits. We helped enhance their appeal by highlighting delicious market imagery, easy to use forms, and new sections to provide useful information for Adams County residents. We also created several affordable print designs for their 2016 market season for use in advertising and direct mail marketing.